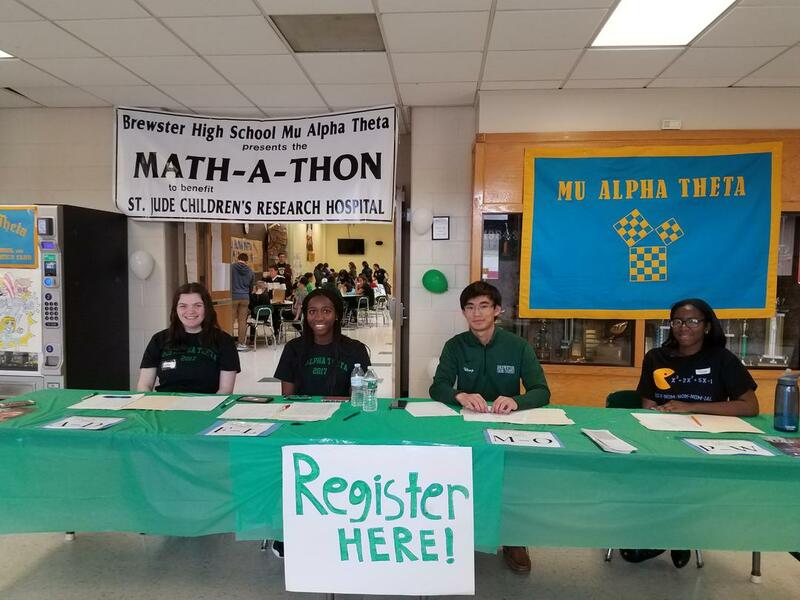 The Brewster High School MAѲ chapter (Brewster, NY) hosted their 9th annual Math-A-Thon. On April 14th, 3rd grade students from C.V. Starr Intermediate School spent the day completing fun math workbooks and participating in math games and activities at Brewster High School. The money raised from the event went to St. Jude Children's Research Hospital. Members dedicated a tremendous amount of time to planning, organizing, and running this event. Because of their awesome community service projects like this one, the Brewster High School chapter won the Mu Alpha Theta Diane Rubin Service Award for 2018. Way to go, Brewster MAѲ!